I thought that I had better give you an update. Just in case anybody doesn’t know what’s going on with Fizz and myself let me explain. Not being quite sure what that meant I looked it up on the internet and it said, “Your dog will be desperate for .. well, company. She will try and escape and other dogs will take an interest in her.” Okay. 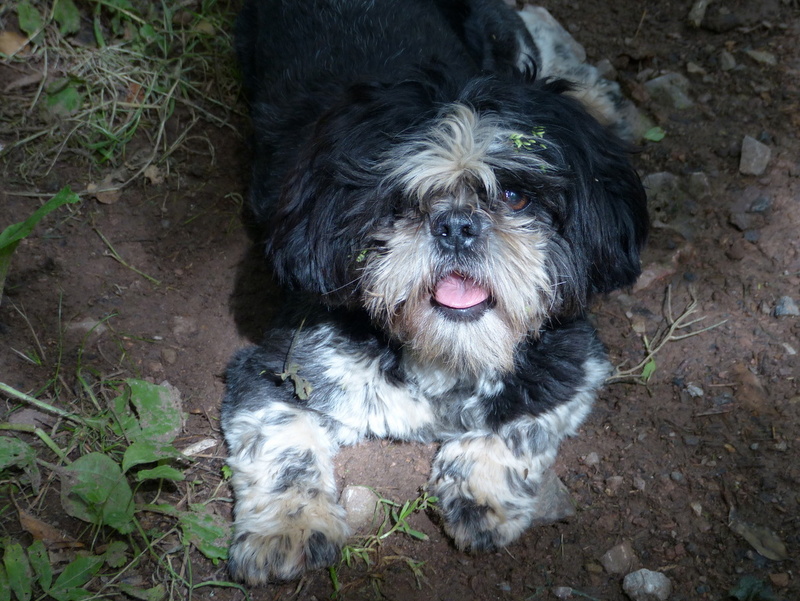 Actually I think that Margaret was mistaken, Fizz is being a little angel and not misbehaving at all. We are just avoiding public places where she might be led into temptation. We had a lovely walk today. 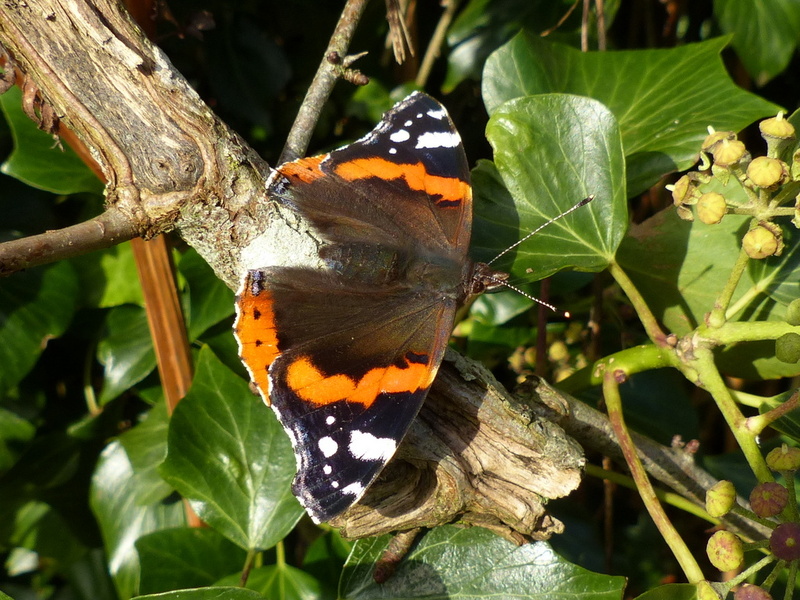 There was a cold wind but plenty of sunshine and Butterflies. This was nice to see in November. 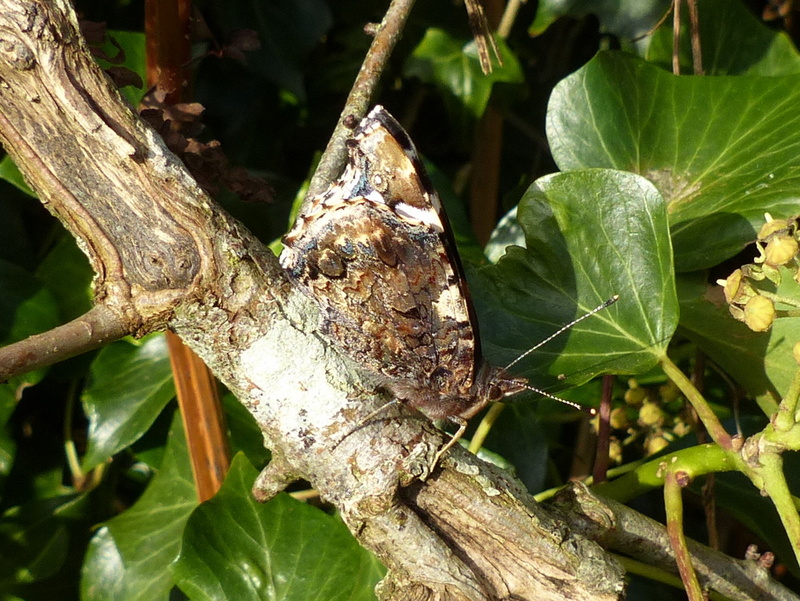 I chased this Red Admiral all over the place and took a lot of pictures. I will probably give it it’s own post but for now here it is demonstrating it’s perfect camouflage. OOh! 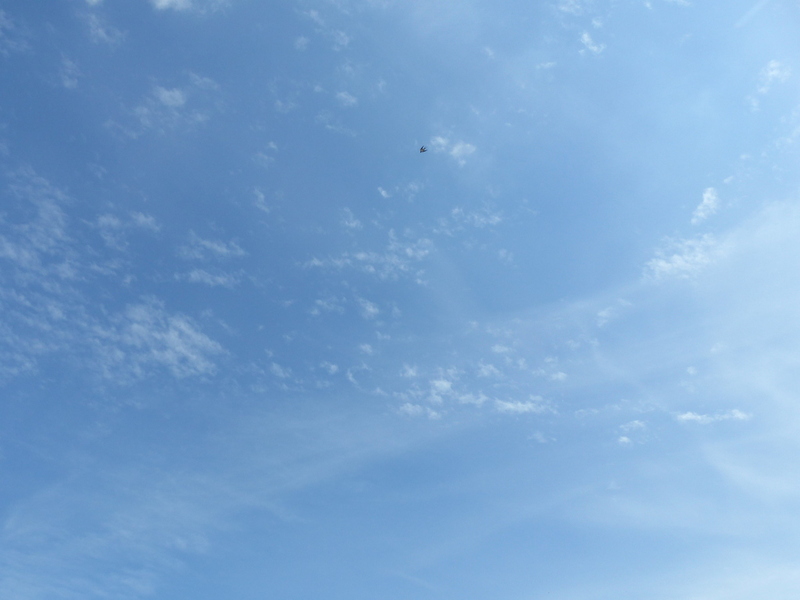 Where’s the butterfly gone? Here is a pretty little mushroom. I don’t know what it is. 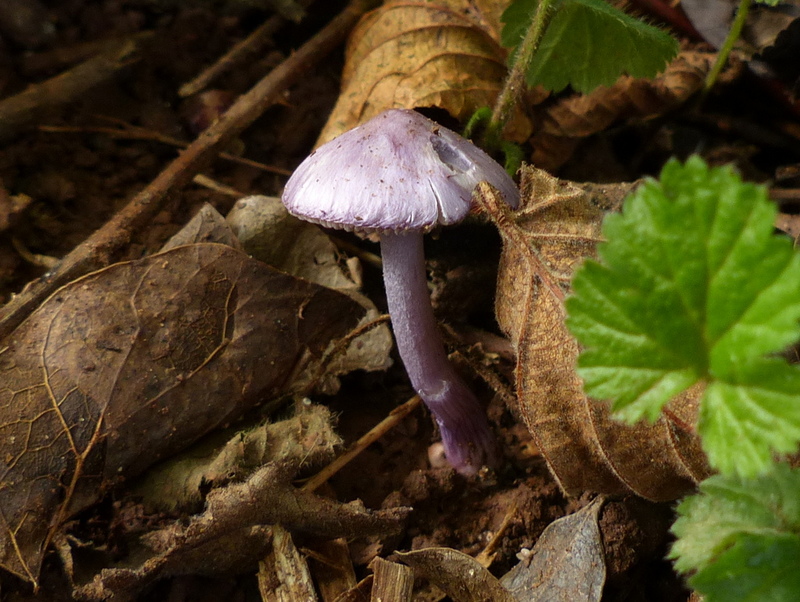 I know you are going to say Amethyst Deceiver but it is not. I am very familiar with that one. I think that this could be a Lilac Fibrecap but I didn’t get the pictures that I wanted so I am going to leave it for now. I know where to find them and will pop back up there one morning after a bit of rain and see if I can get some more. For now it is just pretty. There were still plenty of flowers about. The wind made photographing them a bit difficult. 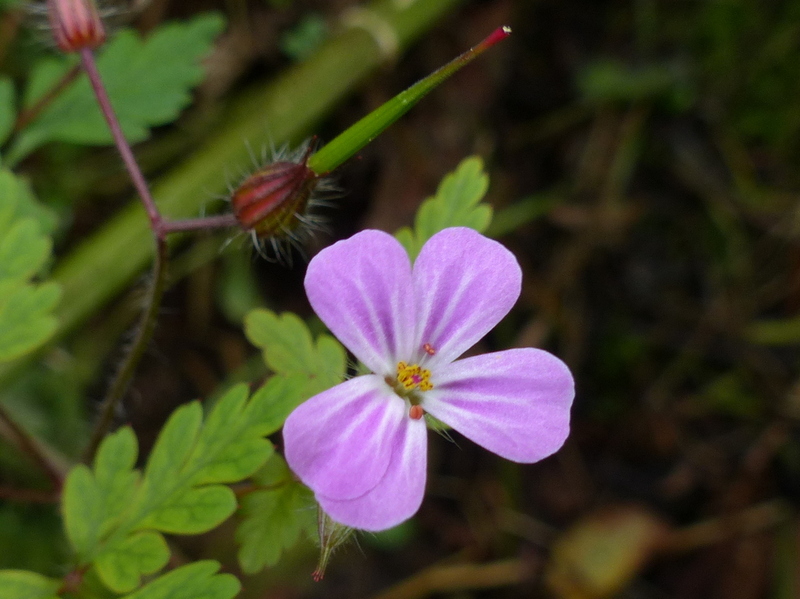 I took lots of shots of the Herb Robert but it moved in most of them. 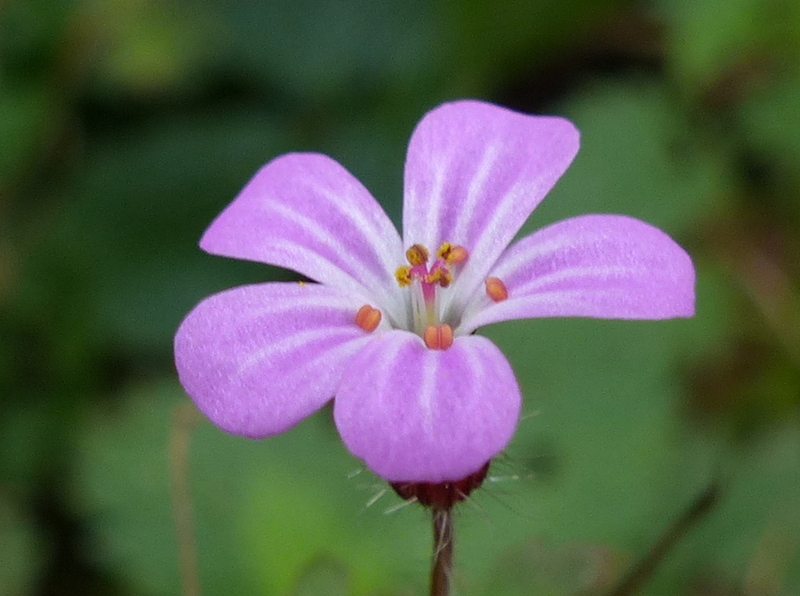 Herb Robert is one of those flowers that I expect to see pretty well all winter. 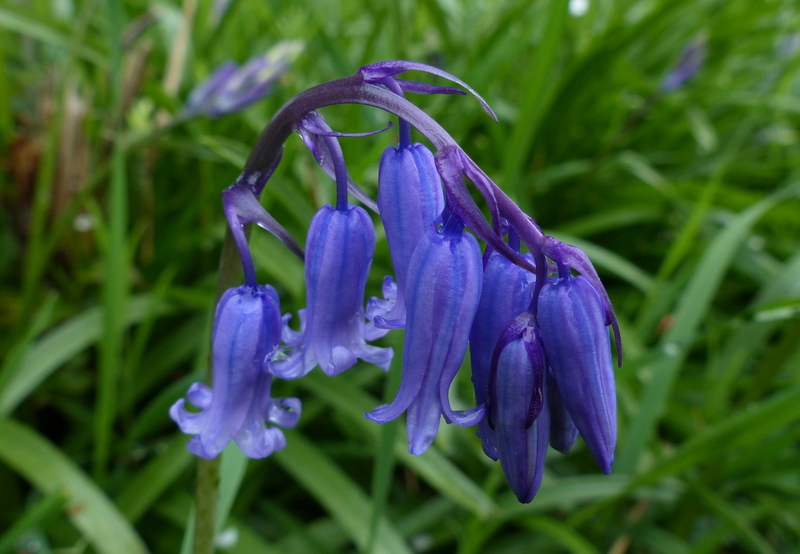 You always get the odd flower that opens out of season and there is just so much of this around that I can almost guarantee to find at least one on any day of the year. Red Campion is the same, very prolific. Now for another fungi. A lovely find but I don’t know what this one is either. The difference is that I have a lot of good quality photographs of this one. If it is possible to ID it from a photograph then I should be able to do so and it will have it’s own post. I am holding back for now. Okay, let’s get dirty. That is what we really came out for. 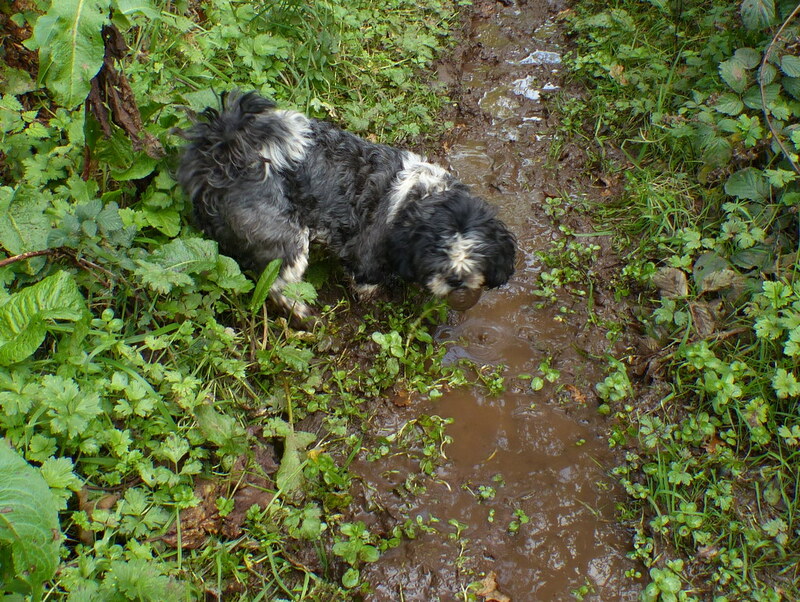 No, you can be muddier than that. The lilac mushroom is such a lovely one. 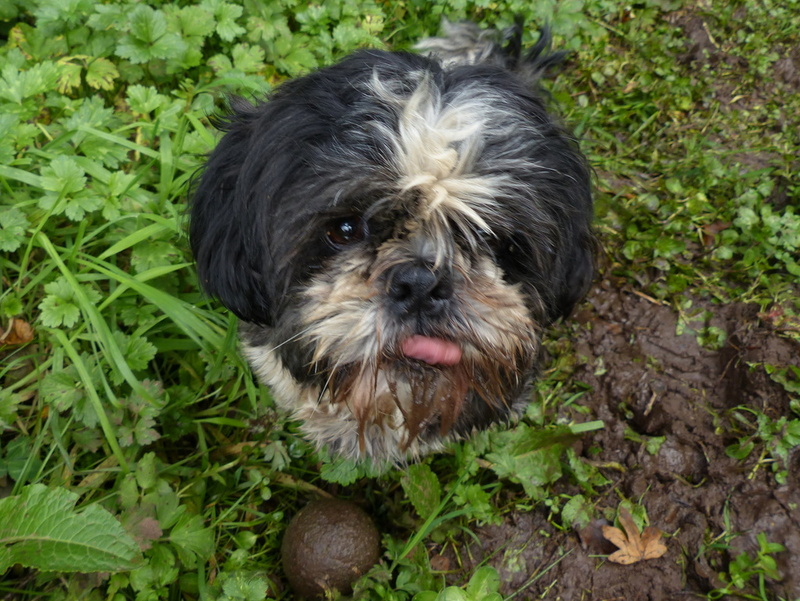 The photo of precious Fizz seemingly done in and tongue out is adorable. Fizz is one cute pup. Our pup is just coming to the end of her time in season. It can be a challenge. Fizz is very sweet! I agree with you about Herb Robert but I don’t see much of Red Campion after mid-summer here. 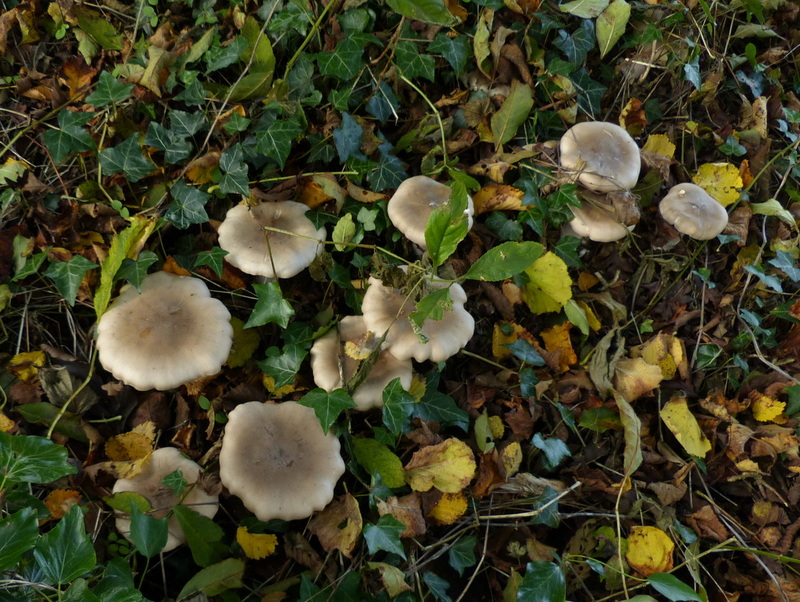 The fungi are interesting – I hope you get them identified. Thanks Clare 🙂 Lots of Red Campion in flower yesterday but whizzing around in the wind. 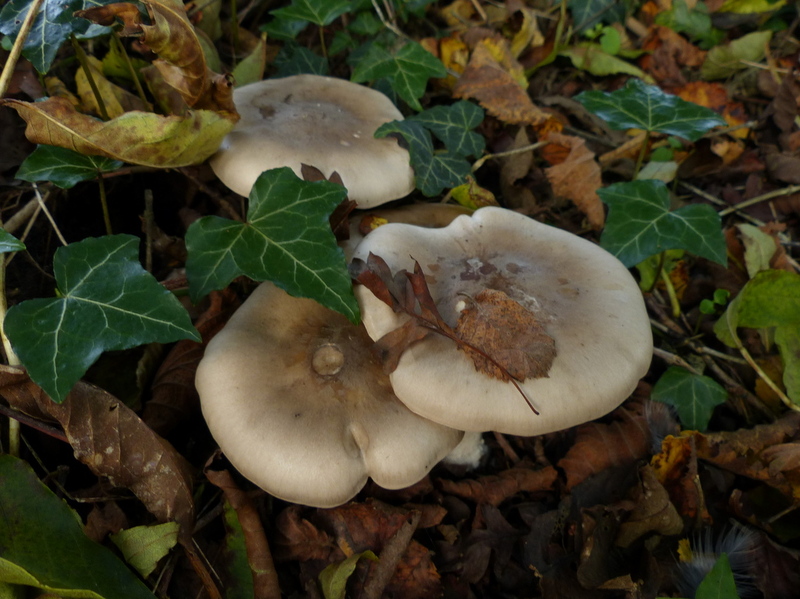 I have got the fungi that I wanted (Clouded Agaric) and will be posting that soon. I’m colorblind and use a free software called “what color” to “see” colors. It tells me that your first mushroom is lavender and / or thistle, which is pale purple. I don’t know if that will help in your ID quest or not. She is always sweet. That butterfly camouflage is amazing; never saw anything like that. Thank you Sarasin 🙂 The Red Admiral is one of the butterflies that overwinters here as an adult. It needs good camo as it is going to be outside and mostly asleep all winter, when everything else is hungry. 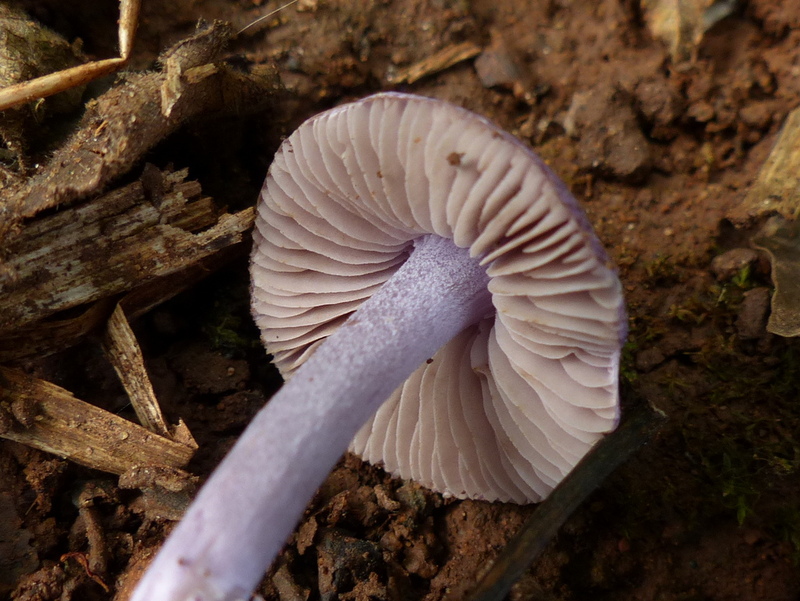 I love the lavender mushroom – an unexpected color in fungi. Hope Fizz behaves herself and doesn’t give you the slip! 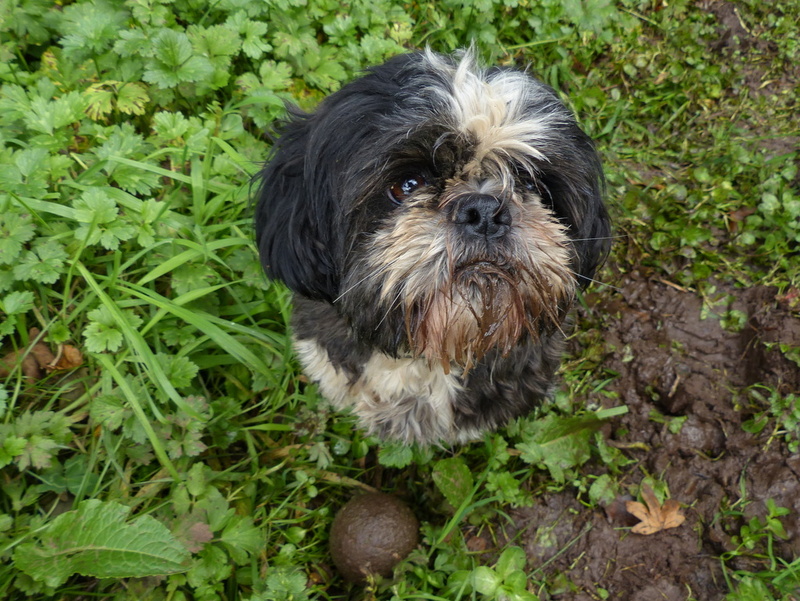 Although even if she gave birth to mixed breeds, there would be takers for all her pups via this blog! She has loads of fans! You have had a good luck with mushrooms. Thank you for sharing! Thank you Inese 🙂 I am finding some really interesting and beautiful species around here. I’ve never seen a Lilac mushroom before, very beautiful! 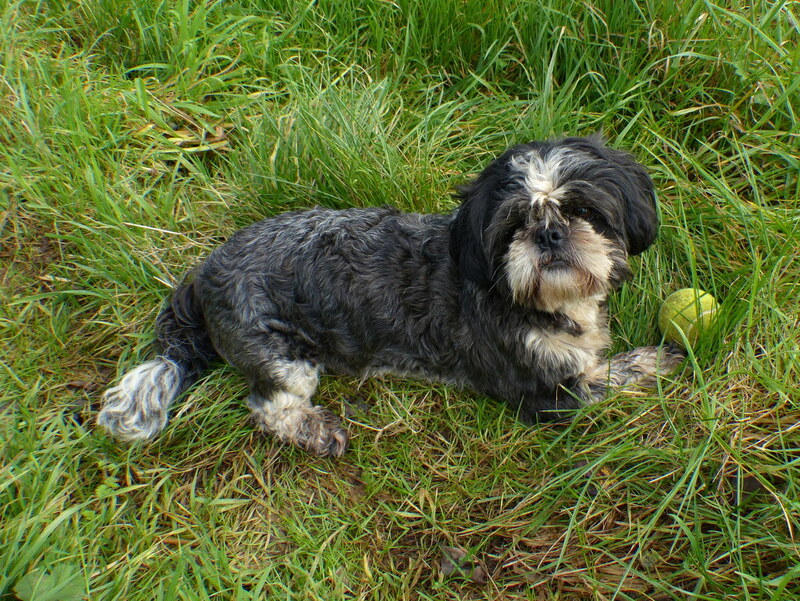 Fizz is very cute, similar to my little guy but mine is fixed so no worries about who’s company he shares! I have a Photo blog about mushrooms maybe you can take a look and name some for me as I have no clue! it’s called Fungus Friday. 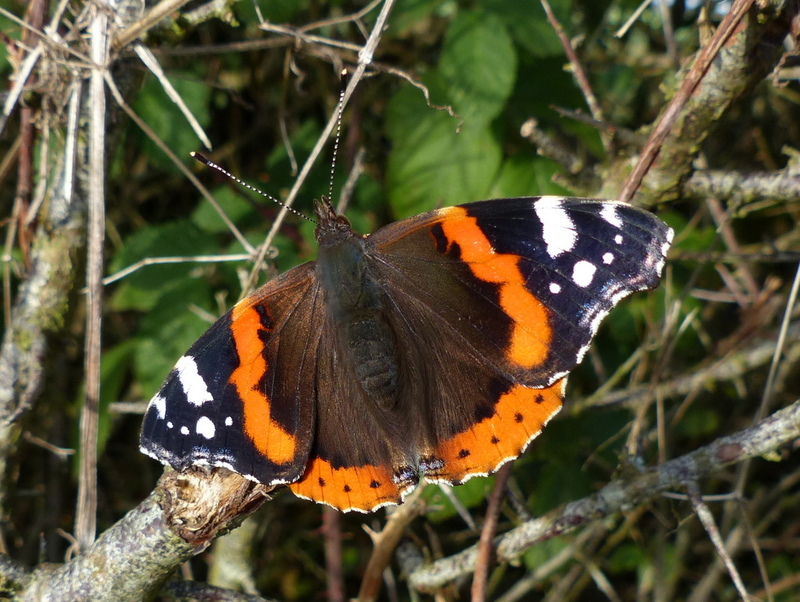 Good to see the butterflies still about in November. Good camo, too. 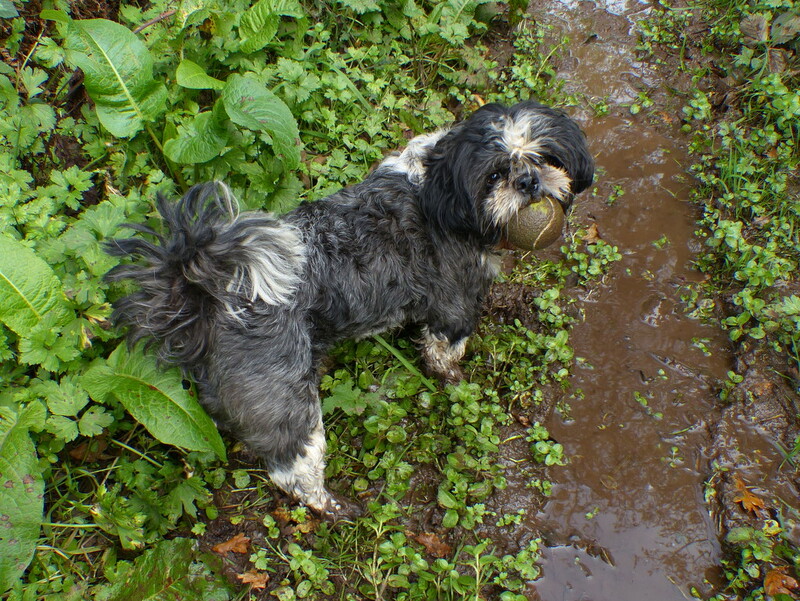 Fizz is truly an outdoor dog. No drama queen in her. No worry about breaking a nail or getting her hair messed up. 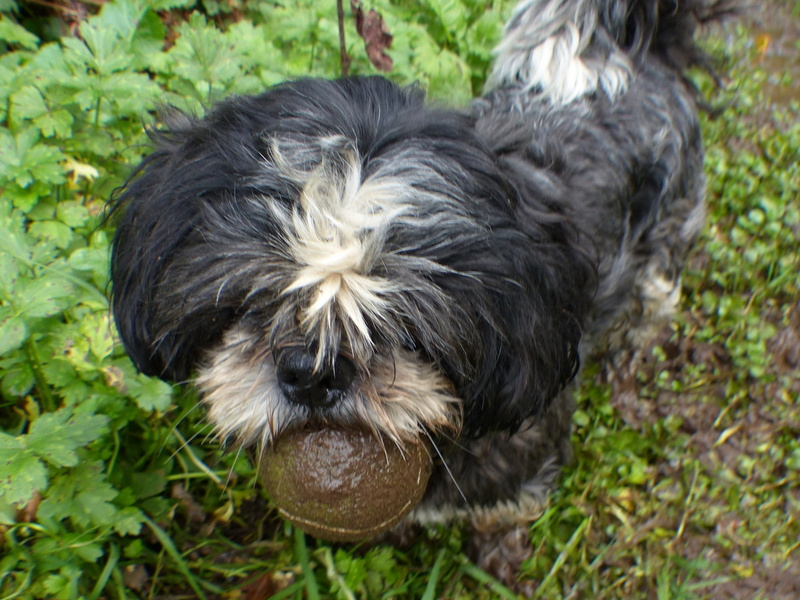 She likes a muddy ball as well as a clean, green ball. She’s the best! Great post! The butterflies are absolutely gorgeous!! Thanks for sharing! Happy Trails!